Removal of dead, dying, uprooted trees along with harvesting of the industrial plantations of Poplar and Eucalyptus in the State. Collection and marketing of medicinal plants from the forest areas - the Corporation has taken up the steering seat in the marketing of the medicinal Plants. 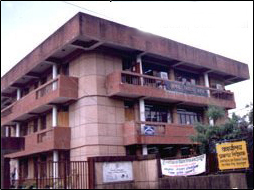 Aranya Vikas Bhawan,73 Nehru Road, Dehradun, Uttrakhand.